Anthologies were a vital, formative part of our development as writers — and as readers. We look back with love and wonder at the efforts of the legendary Charles L. Grant to bring the cream of the horror crop into readers’ hands. His eleven-volume SHADOWS series contained familiar names, but every installment also presented us with the unfamiliar, and often the brand-new. Other Grant anthologies — TERRORS, NIGHTMARES, MIDNIGHT, the quartet of GREYSTONE BAY books — provided the same. Charlie Grant helped move unknown writers into the horror community’s conversation. Yet those memories remain. We have talked for years about the desire to present an anthology that is open to anyone, and which allows us to follow some personal rules (outlined below). Yes, it’s a massive time commitment, but we—and John McIlveen of Haverhill House—believe it is absolutely worth it. We want to create a market for horror stories that presents a real, professional opportunity. • Will have zero spaces reserved for marquee names. • Will use a blind submissions program (we won’t know who wrote the stories until we’ve selected them). • Will pay professional rates—a minimum of six cents per word, with a cap on advances of $300 per story. • Will pay royalties—a pro rata share of 50% of all royalties earned. • Will make our best efforts to spread the word, so that marginalized communities of horror writers will be aware of the call for stories. • Will employ a diverse Editorial Committee. In recognition of the possibility of inherent bias in our reading, the editors have engaged an astonishing team of diverse writers and editors who will read submissions alongside us and will offer their input and aid in the selection process. 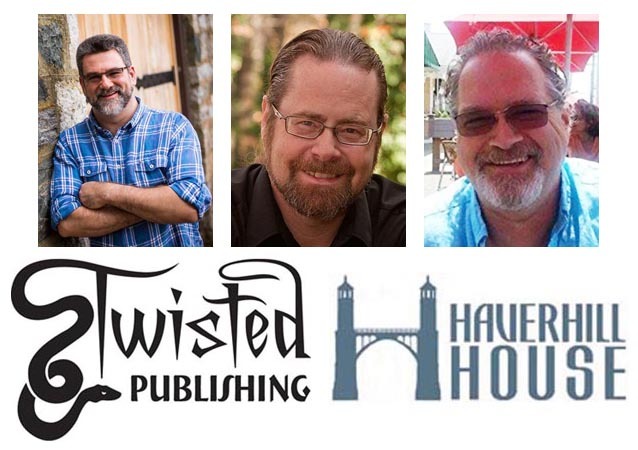 These authors and editors have a breadth and depth of experience that has transformed this project into THE horror anthology for the coming year. We’re also starting with our own money. Christopher Golden, James A. Moore, and John McIlveen have each committed to donate $333.34, making up the first One Thousand Dollars (and two cents) of the money needed to fund this book. The editors are not taking a penny from their efforts until royalties are earned. What should you donate, and what do you get? If you believe in this project, you should donate whatever amount you feel comfortable with. $5 or $50 or $500. However, donate at least $25 and you’ll get a free digital copy of THE TWISTED BOOK OF SHADOWS. Wait … why just a digital copy? Well … we’re doing this as a GoFundMe instead of a Kickstarter because we want to focus on paying the writers. No gimmicks, no fancy prizes … nothing like that. No incentives other than a great reading experience and a level playing field for authors. We believe that there are enough people out there who believe in this project that we’ll be able to meet our goal of raising $7000 in total (especially since we have already committed to put in the first thousand). What happens to the money if we go over our goal? If we’re fortunate enough for that to happen, it’s our hope that we’d roll the additional money into the next volume. If, for whatever reason, there is no second volume, we would disperse the money in equal shares to the authors of this first volume. The editors will not take a penny of the donation money, not even in repayment for our initial donations. A donation is a donation. The only way we’ll earn any money is from actual royalties from actual sales. 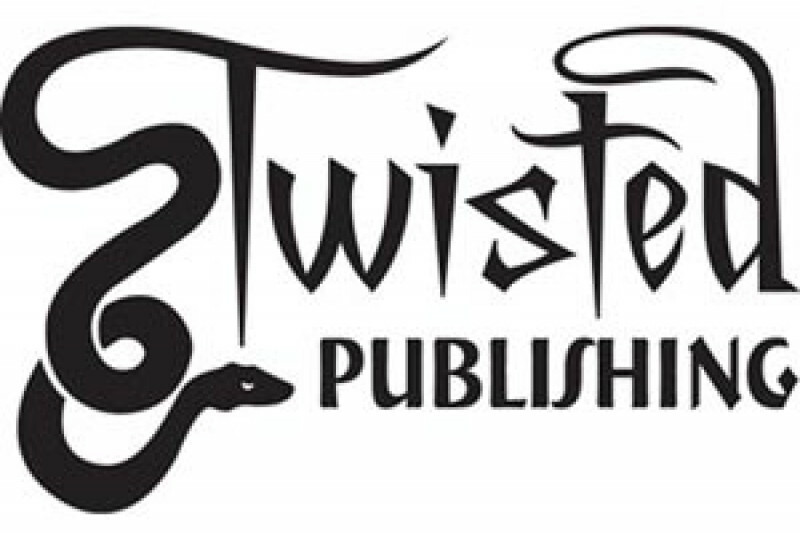 When will THE TWISTED BOOK OF SHADOWS open for submissions? We hope that won’t happen. If it does, we might need to accept fewer than our planned 18 stories. But if somehow there is no book, donations will be refunded. DONATE! If you believe in this project, if you’d like to see an open, professional market for great horror stories, please contribute. Remember, $25 or more gets you a digital copy of the book, but every dollar helps. Thank you to all who have supported The Twisted Book of Shadows. We have just surpassed the 60% mark.